So last week I finally discovered how to get a multiplayer game of Minecraft going on the Raspberry Pi and it was a lot simpler than what I had been trying. Seems all you need to do is connect your pi’s to a router and well that’s it really. The pi’s need an IP address in order to have a LAN game and by using any router (no internet connection is needed just the router) you can then get them talking to each other. HOWEVER this does only work for 5 pi’s connected on the same network. I used a router and a switch to enable me to have the 5 pi’s on at the same time. I tried to add more but it seems that 5 is the maximum you can have on a pi multiplayer game. I wish I had discovered this months ago however at least I know now. 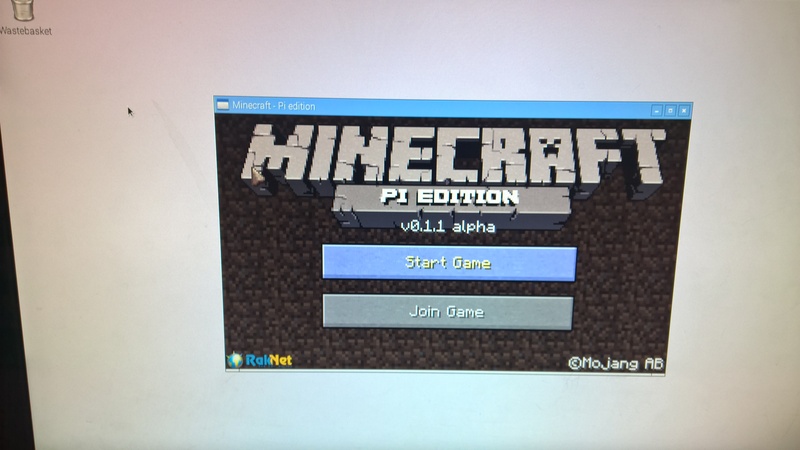 Big thanks to David Renton (@drenton72) for helping me test the switch & router pi stuff and enabling me to be able to now run Multiplayer Minecraft. Well it’s that time of year again everyone. Mini Game Jam will soon be upon us again and this post is a call for help. My Jam has been growing slowly over the past couple of years and I am now in year 4 of it. With support from Glasgow City Council Education Services 10 Learning Communities across the city will be taking part with their associated primary schools and I am super excited about this. Winners from each Learning Community will go on to a final on the 7th June! If I were to say to you who is Daniel Middleton, Jordan Maron, Adam Dahlberg, Tiffany Herrera, Thomas, Beth Bates, David Spencer and Joseph Garrett would you think I was rambling on about a list of people I know? 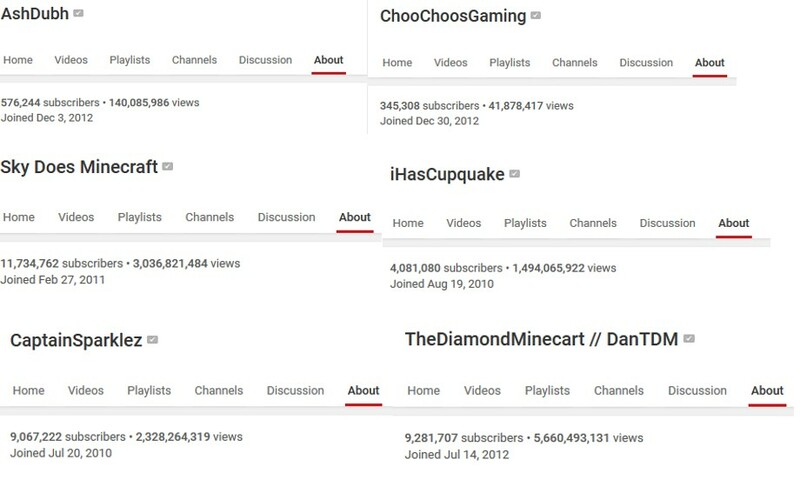 OK how about if I say The Diamond Minecart (DanTDM, CaptainSparklez, SkyDoesMinecraft, Ihascupquake, Choochoosgaming, Sqaisheyquack, Iballisticsqud and Stampyylonghead? Who are all these folk? There are of course YouTubers who have amassed billions of views on their channels and why? Yes Minecraft that lovely blocky sandbox game, they all make videos around Minecraft whether it’s gameplay, modding, tips or tricks or even parody music videos these are some of the folk children are watching and talking about. Given all the attention Minecraft is getting at the moment I decided to do a little more research on YouTube and with the help of my daughters (who better to learn from) I discovered more to Minecraft videos than just Stampy and DanTDM. Stampy works with a few folk iBalisticSquid being one of them – they have build challenges a 15 minute section where their followers suggest something for them to build and both take on the challenge with viewers watching one channel or the other. Viewers then vote on who did the best build. The also do quests together amongst other things. Another regular with Stampy is Sqaisheyquack who is a Minecraft helper in Stampys Lovely world but also has her own gaming channel on YouTube too. Others include AmyLee33 and AshDubh. Stampy also has an educational channel as well now called WonderQuest. ChooChoosgaming is a channel run by Thomas (no full name given) and he uploads regular videos about games he likes to play including Minecraft. iHasCupQuake run by Tiffany Herrera is a channel for all things geek. She covers games, baking and all things creative. SkyDoesMinecraft is another popular channel with over 11 million subscribers waiting patiently for those Minecraft video uploads. Most YouTubers videos are uploaded on a regular basis with the norm being that they are uploading new material on a daily basis. You only have to look at the number of views on their channels to see just how popular they are! OK so how is this relevant then? 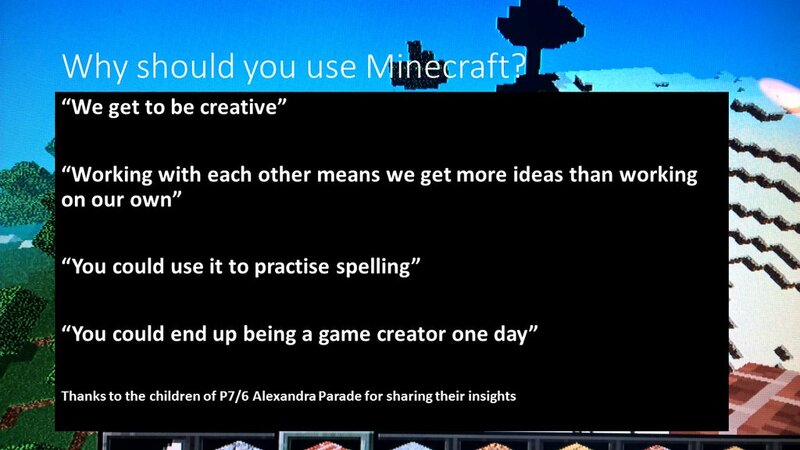 Given that Minecraft is so popular just now then why not tap into resources already there? Well as someone who has done some teaching with Minecraft this is another way to get started in the class. What better than to discuss or write about our favourite YouTube personality and look at the work they produce? How about some maths YouTube provide lots of information (number of subscribers/channel views/videos etc) How about making their own Minecraft video in the style of their favourite YouTuber or even just making their own videos? 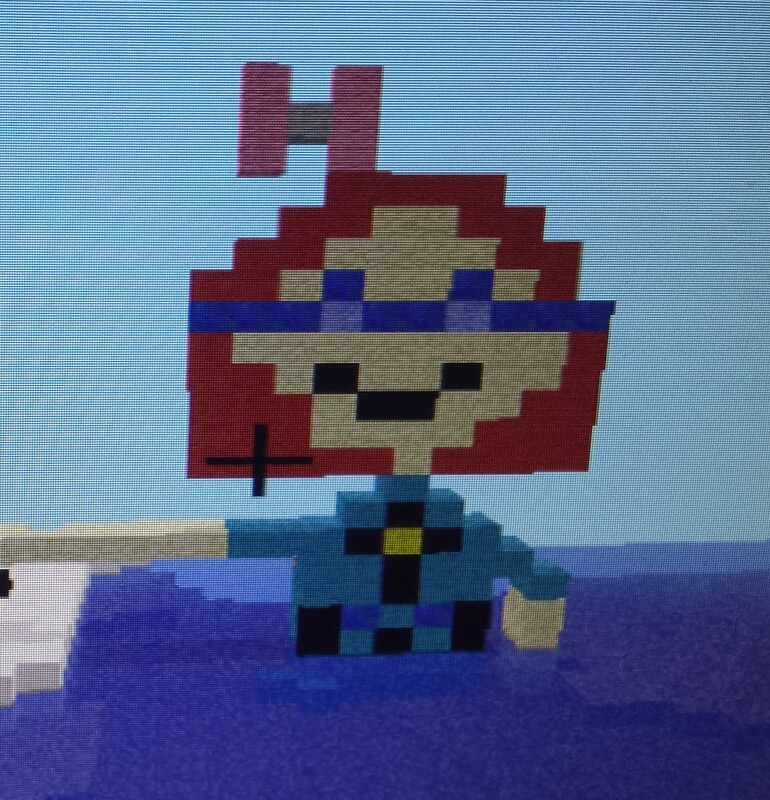 Or artwork on squared paper in the style of Minecraft. 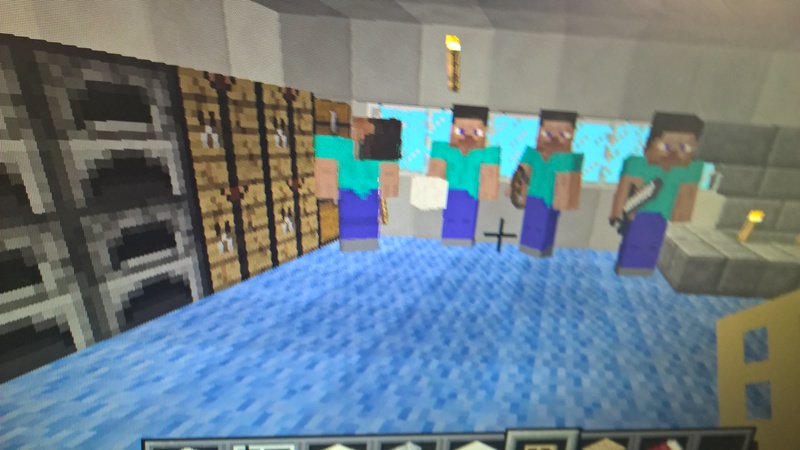 Even if you don’t have Minecraft on your computers in school there are still ways that you can use it to inspire children’s’ learning. Maybe even before the learning in class just learn more about what the children are watching – it’s certainly opened my eyes. Ask the children who they watch and why, then go home and do that yourself. Nothing wrong with admitting to the children you don’t know who x,y or z are but don’t be afraid to learn more about x,y or z that’s how I’ve just spent my weekend. The following videos I found to be rather amusing I should say but at the same time they are well done – 2 music parody videos. The first a Taylor Swift – We are never ever getting back together parody and the second a parody of Coldplays Paradise well worth a watch. With thanks to my wonderful daughters who have opened my eyes a little more to all thats YouTubey and Minecrafty! The above are just a few of many YouTubers who make Minecraft videos and once you getting talking to the klds am sure you will find loads more not mentioned here. I passed my level 3 City and Guilds Education and Training Qualification after completing quite a few night classes (CPD which I have greatly benefited from). I passed my Drivers theory test (albeit 2nd time lucky). I’ve been taking driving lessons for we while now (yes I have failed the test once but fingers crossed for next time) for my poor instructors sake – the guy is a legend well he must be he’s still alive after having me as a student for so long!!! I became a Microsoft Innovative Educator Expert for 2016. I helped facilitate a Minecraft workshop for girls at the Ada Lovelace event organised by the University of the West of Scotland. 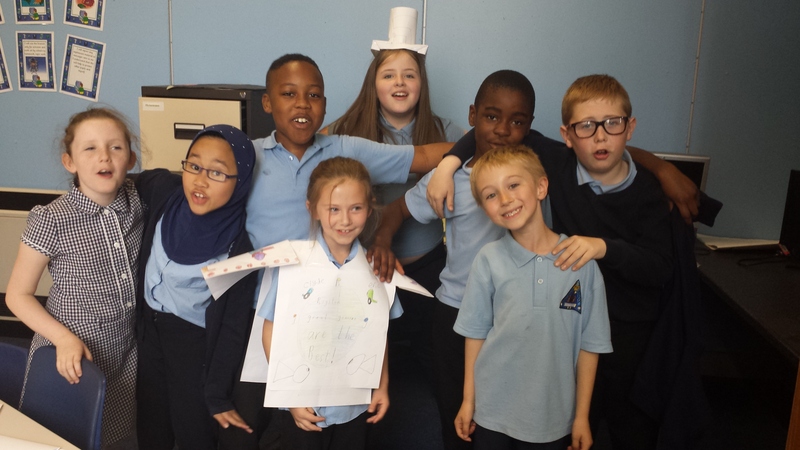 I ran my Computing club in Royston Primary for the year – between Jan 2015 and June 2015 I had 3 clubs running and then from Aug 2015 to Dec 2015 I have sadly due to work commitments had to stick to 1 club running. 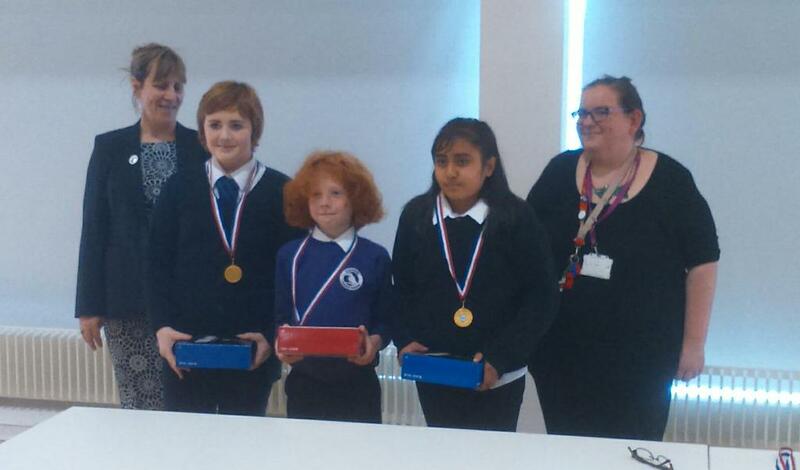 I mentored a team into the final of the Scottish KoduKup as part of my club in school. 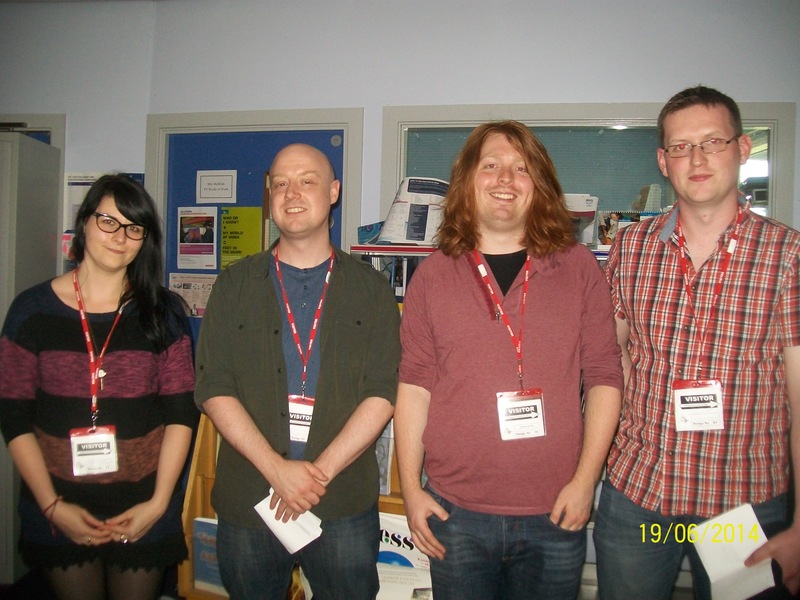 I was part of the organising committee for the Computing at School Scotland conference in Dundee (helped out more on the day than beforehand – my timing was awesome arriving at the venue the night before just in time for pizza!!). 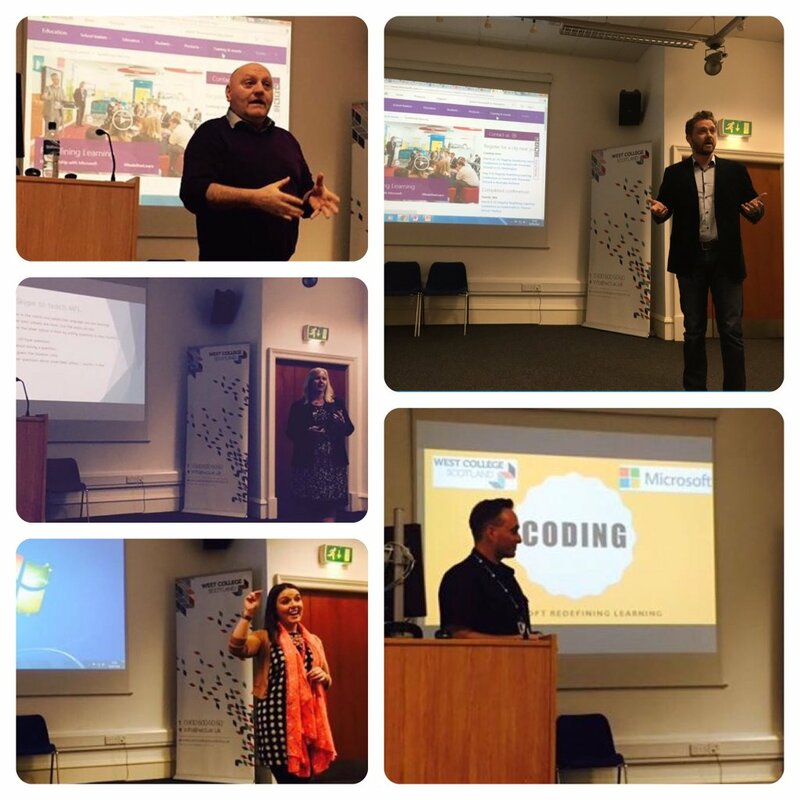 I spoke at a TeachMeet event in Glasgow (even finally got to meet the legend that is Ian Stuart) – twice actually about the work I’ve done with Scratch and also the work I’ve done in Royston Primary. 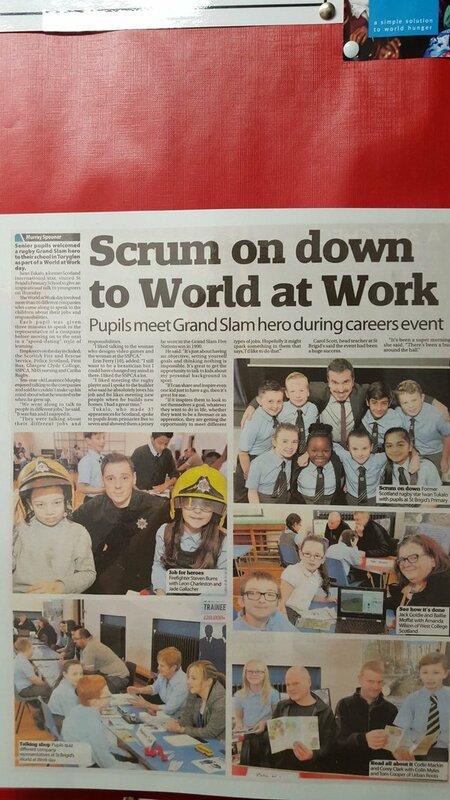 St. Brigids Primary in Glasgow invited me along to talk about careers in games for their careers networking event – cool as I got my pic in the local paper and was described by one child as the best person there. 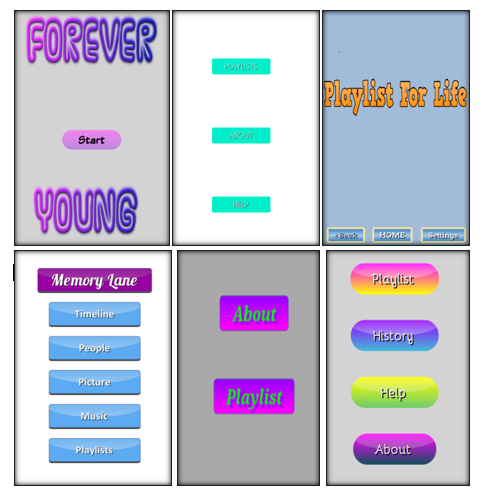 Got to work with a group of pupils from a cluster of Secondary schools on app development as part of a larger project which will be continuing again soon. 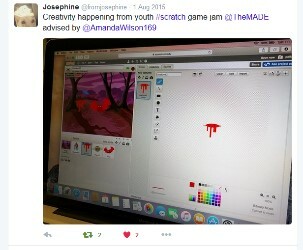 I ran some CPD sessions for teachers to teach them about making games with Scratch in order for them to get their children ready to participate in the Mini Game Jams. 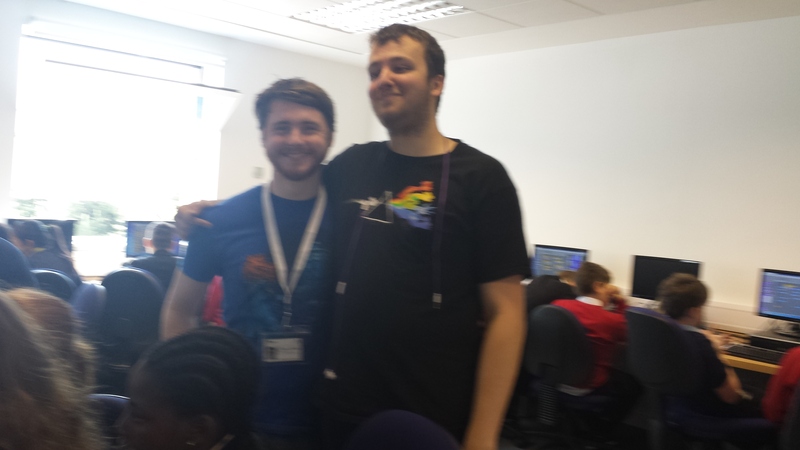 I organised 5 Mini Game Jams across Glasgow and co –organised 1 with the Caledonian Club at Glasgow Caledonian University which in total had 305 children participate in making games with Scratch for a day. I advised on a Mini Game Jam that was held at The Museum of Art and Digital Entertainment in California. The thesis has now been submitted– yes the force was finally with me and I finished it (did you just hear a whole load of folk go thank goodness for that – well I’m being polite the probably said worse they know who they are and thanks for sticking by me). 2016 will be year of the Viva!! Oh yeah did I say I do work part time lecturing (a couple of places) and I’m mum to 3 very wonderful and understanding girls who know that all the work I do during the year is for their benefit as well and due to the nature of my jobs I’m super lucky enough to spend the holidays with them and maybe make the occasional Lego model!! Looking forward to taking on 2016 and hopefully some new projects as well as the ones already in the planning.